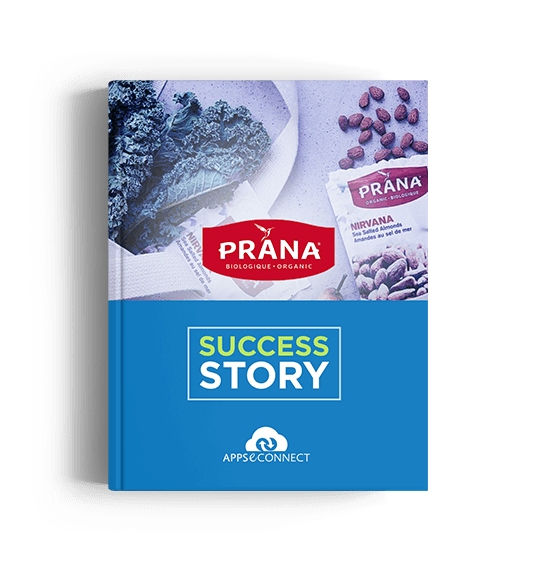 With APPSeCONNECT, Prana Biovegan Inc. have successfully managed their huge numbers of sales orders and delivered better customer experience in Canada. PRANA is a young and fast-growing company that creates organic & vegan foods that promotes sustainable agriculture and an alternative to traditional food consumption. PRANA offers a wide range of organic products made in the province of Quebec. They take pride in offering the customers high quality products that have been inspired by different culinary traditions from around the globe. Prana Biovegan is one of the leading nutritional suppliers in Canada. They have been using SAP Business One as their back-end ERP system for a couple of years and the Magento eCommerce as their storefront. Very recently, with their fast-growing sales and the huge data and information to manage, Prana started their search for an intelligent integration platform that could seamlessly connect all their applications and bring all the required in a centralised place. Manual data entry of the huge numbers of sales orders received. Complete and seamless integration between SAP Business One and Magento. Swift business flow after Magento migration from version 1 to version 2. Uniquely designed business flow to suit the requirements. Strong and reliable integration architecture. Complete restructuring to the sync pattern after migration from Magento1 to Magento 2. Full and proactive support from the implementation consultants as and when required. Appropriate workflows, value mapping and APPSeCONNECT tutorial. Easy management of sales orders. Proactive support during implementation and post-implementation process. Deeper integration, scalable and customisable. Organic & vegan food, variety of nuts, dried fruits, seeds, sweet & savoury snacks, trail mix, super foods, cacao and coconut products. The staff at InSync was extremely supportive through the entire process. They not only assisted with the conceptualization of the process, but were super quick to respond to issues and troubleshoot errors that came up during testing. Their service was excellent throughout this project and they were more than willing to take extended time to train those of us who were not that IT inclined. They were also very open and willing to follow up on amendments to the original project without constantly renegotiating - which helped keep the project on course, even if we hit a bump in the road. All our questions were answered and InSync made sure we had the support we required at every turn. App is easy/user-friendly to use and maintain after implementation. Would work with them again. Our website's Magento platform is now connected to our SAP, which is also connected to our third party logistics so the process of receiving and invoicing orders is completely automated and is saving us a lot of time we would normally have put into data entry.